We'll back after the break! Our summer activities are over; our summer holiday is just a little way ahead, around the corner. For the young people we've been working with this summer, yesterday's highlight was probably the water slide at Aquana, in Banja Luka. Either that or the opportunity to tease me, a Spurs supporter, about Dzeko's four goals for Manchester City at the weekend. In the interests of impartiality I left a bit of both in the video. 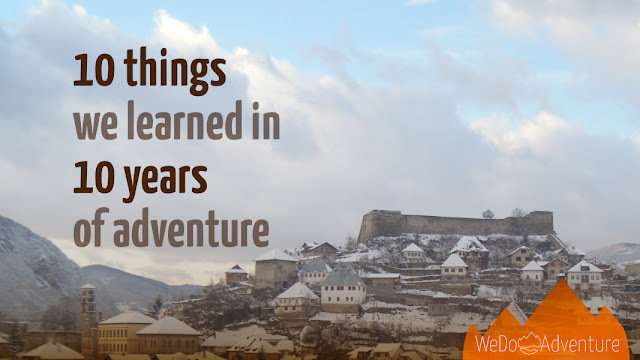 We now have a month before we resume Novi Most courses and activities here in Jajce. I probably don't need to point out that is not the same as a month's holiday but, there, I did anyway! Our holiday is booked for later in the month. My only concern is that although the sunshine and the temperature yesterday spoke clearly of summer still being here the trees on the drive back had definitely decided autumn is on its way. Give it a couple of weeks and who know where we'll be. Well, we know where we'll be; we just hope the good weather will still be hanging around for us!